Do you see life as a journey of evolution and growth? Are you looking for guidance to delve deeper and listen to your soul? Would you like to explore a full body immersion ritual at the only pluralist mikveh in Israel? 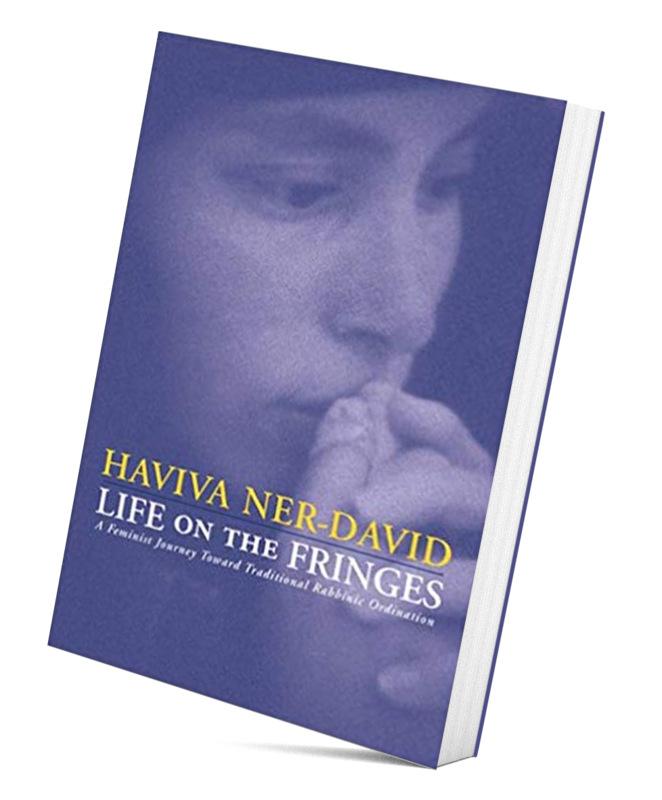 Haviva Ner-David was ordained privately in 2005 by Rabbi Aryeh Strikovsky, an Orthodox rabbi in Jerusalem, and then again in 2016 at One Spirit Interfaith Seminary in NYC, where she studied in both the ministry and spiritual counseling programs. Haviva is also trained in dream work and nature soul retrieval work. A strong believer in following the heart and living from the soul to create one’s unique spiritual journey, Haviva counsels individuals and couples, including but not only many rabbis and rabbinical students. Calling herself a post-denominational inter-spiritual rabbi, her specialty is in mikveh and spiritual counseling – often, but not always, combining the two. 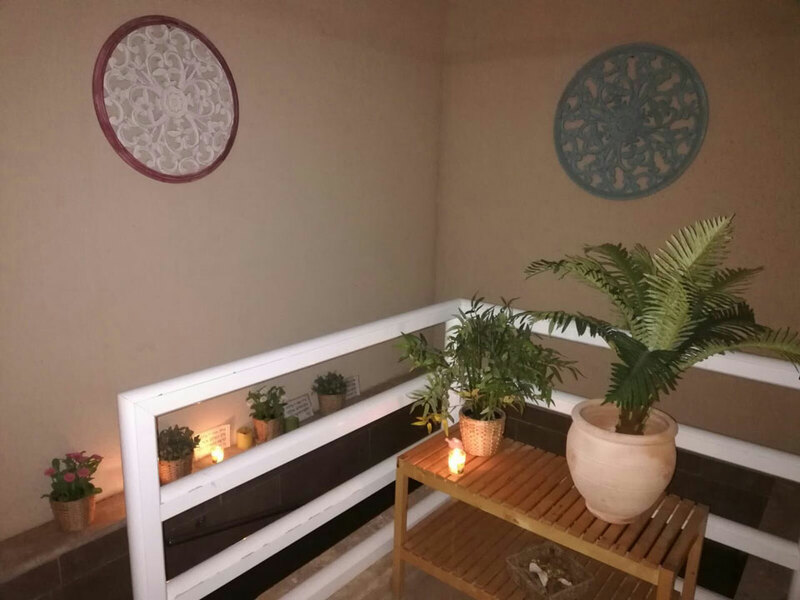 She is the founding rabbi of Shmaya: A Mikveh for Mind, Body and Soul on Kibbutz Hannaton, where she lives with her life partner, Jacob, and their children. Haviva wrote her doctoral dissertation on the changing understandings of mikveh and nidah from the time of the TaNaKH until the present, and she is proud to consider as her pulpit the only human-built mikveh in Israel that offers ritual immersion to everyone in the way they see fit to immerse. 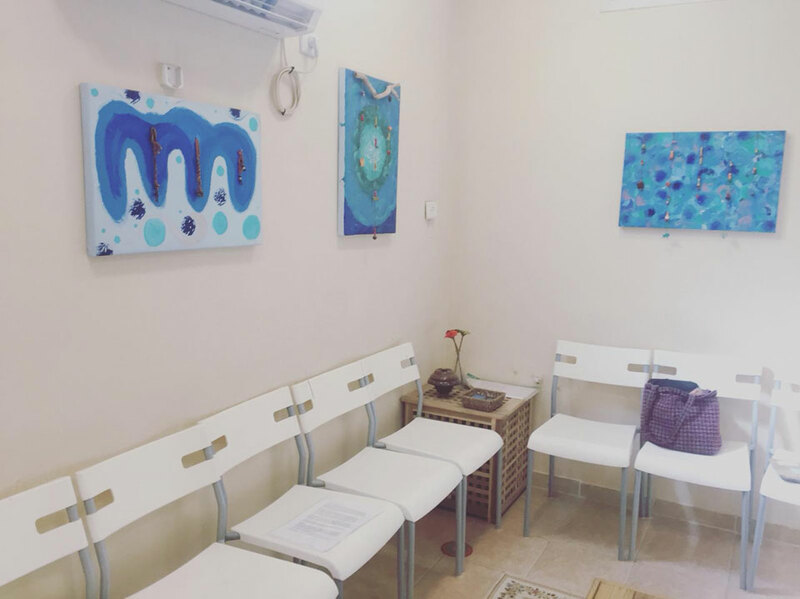 At Shmaya, she provides educational and experiential mikveh experiences to visiting groups and accompanies individuals in ritual immersions, often helping them — through the use of her spiritual counseling skills and mikveh knowledge — create their own unique ceremonies or kavanot (holy intentions) for their immersions. Haviva is the author of two published memoirs: Life on the Fringes: A Feminist Journey Towards Traditional Rabbinic Ordination, and Chanah’s Voice: A Rabbi Struggles with Gender, Commandment, and the Women’s Rituals of Baking, Bathing and Brightening, as well as the forthcoming Getting (and Staying) Married Jewishly: A Guidebook for Couples, and Joining the Flow: A Rabbi’s Dream Journey Towards Becoming Human. She is hoping to come out soon with her debut a novel, Hope Valley, about the friendship between an Arab-Israeli woman and a Jewish-Israeli woman in the Galilee. 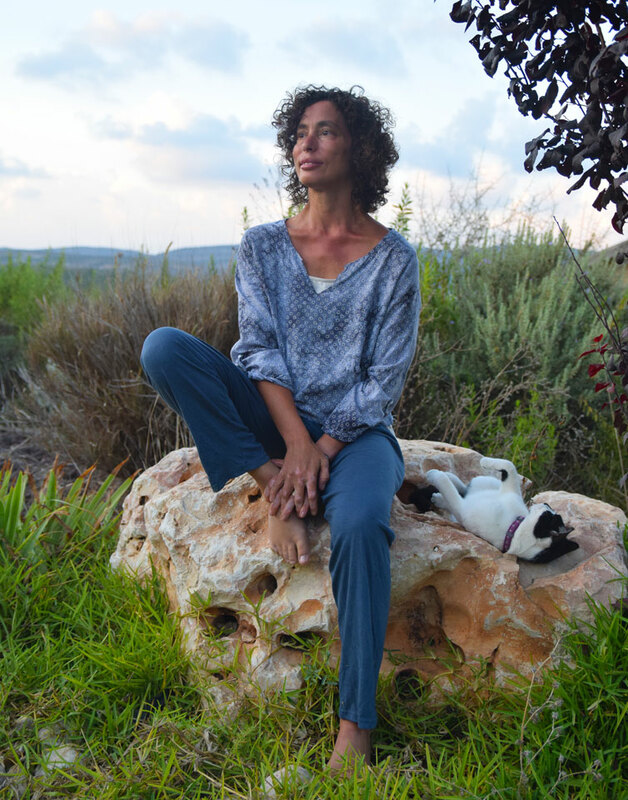 Haviva currently focuses her sacred activist work on promoting co-existence among Palestinian-Israelis and Jewish-Israelis, especially in the Galilee, where she lives. Her younger children study in the Hand-and-Hand bi-lingual (Arabic and Hebrew) school half an hour from her kibbutz, and she is involved in a narrative-sharing group where Palestinians and Jews are invited to share their personal stories in a circle of sacred listening. As well as being a mother of seven children (six biological and one adopted), Haviva lives with a genetic degenerative neuromuscular disease that has been both one of the biggest challenges and blessings of her life. Are you looking for a way to go deeper and listen to your soul with the gentle support and guidance of a person trained to help you find your own answers? As an inter-spiritual counselor, it is my goal to hold sacred space for the counselee in non-judgment and genuine curiosity, and to ask the appropriate open and non-leading questions to support and guide the counselee in his or her own unique spiritual journey. The core belief of spiritual counseling is that we are all whole and do not need to be fixed. We simply need to feel held in Divine love in order to grow into our wholeness. Inter-spiritual counseling is not limited to one faith tradition, but rather is open to using all paths to the divine — including art, music, dream work, inner child work, nature, somatic/body work, movement, meditation and other spiritual practices from all faith traditions — as a source of healing and self-discovery. This approach also emphasizes the role of the counselor as accompaniment not direction. The counselee is the one leading the way. The counselor is there to hold space, offer support, reflect and inquire, and only offer guidance when it is clear that is what the counselee is seeking and that the advice is being offered in the best interest of the counselee. Trained as a general spiritual counselor and a rabbi and interfaith minister, with specialty training in dream work, nature work and inner child work, I am open to following wherever your soul leads us. (Once, twice, or four times per month in person or via video call). Includes a spiritual counseling session to prepare for the mikveh immersion experience, and can also include helping to create a ceremony for the immersion based on the counseling session. In the Biblical Creation story, all was water and Divine Spirit. All was peace and unity. Out of that perfect wet wholeness, God’s womb, God birthed a world of separation that is the human condition. But God left us a remnant of that wholeness in our imperfect world, in the form of a “mikveh mayim,” a gathering of water: a spring, lake, ocean, or cistern of rain water. With the ritual act of full body immersion in a mikveh, we are gifted the opportunity for connection with that timeless unity and with the Divine Spirit that flows through all of us. After all, each and every one of us is made of up to 75% water. When we immerse our bodies fully, we reconnect to our inner Divine selves, to our spiritual centers, and rebirth ourselves into our continual becoming. Mikveh immersion is a ritual of transition and transformation. In liminal times in our lives, times of change, we are perhaps most vulnerable; but we are also most open to growth and healing. Water softens us, dissolves all that we thought we were, leaving only that which will always be: our deepest unchanging essence. As we experience being in the Divine womb, we decide what to leave behind in the water, and what to take with us back into the world of separation. We reflect with holy intention on how to grow and heal from life’s inevitable impermanence. We own our transitions, shaping them into our unique spiritual journey. With a doctorate on mikveh and decades of experience as a mikveh educator, consultant and guide, I am in a unique position to provide individual and group experiences at the only mikveh in Israel open to all to immerse in the way they choose: Shmaya: A Mikveh for Mind, Body and Soul (which is open 24 hours a day, 7 days a week, by appointment only, for individuals, couples and groups). I am available for consultations, guidance, education, individual ritual accompaniment and preparation, experiential workshops, group seminars and talks, ritual accompaniment and preparatory work. Contact me to make an appointment or to hear about the various options to suit your needs. Life on the Fringes: A Feminist Journey Towards Traditional Rabbinic Ordination. 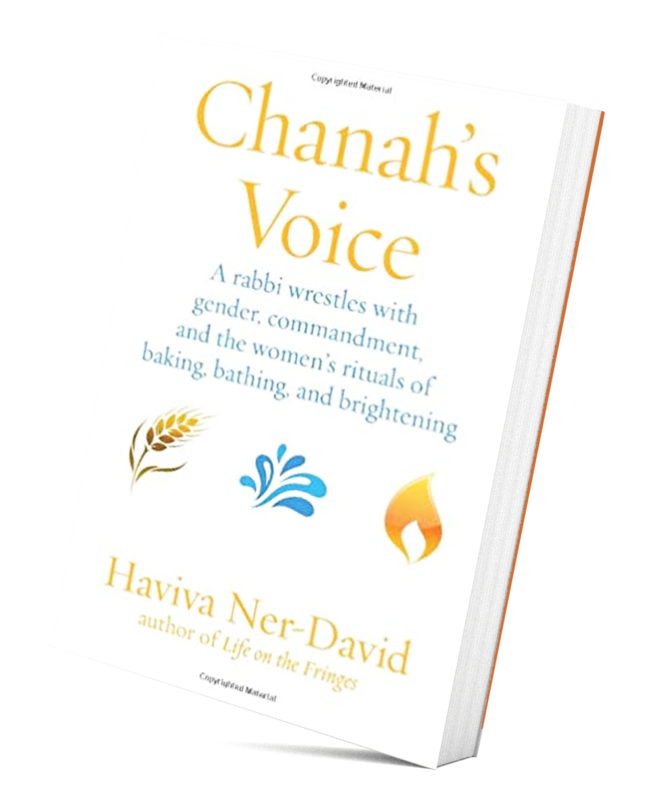 Chanah’s Voice: A Rabbi Wrestles with Gender, Commandment, and the Women’s Rituals of Baking, Bathing and Brightening. Getting (and Staying) Married Jewishly: A Guidebook for Couples, which will be available on Amazon in 2019. Hope Valley, a novel about the friendship between a Jewish-Israeli and an Arab-Israeli woman in the Galilee. Joining the Flow: A Rabbi’s Dream Journey Towards Becoming Human, a third spiritual journey memoir. My partner and I wanted to work through some of the more challenging aspects of our relationship before our upcoming wedding, and turned to Haviva to help facilitate our pre-marital counseling. These meetings helped us move forward from the tough conversations and stalemates to a more productive, collaborative place. More than anything, Haviva's mirroring provided a different set of eyes through which we saw each other, and our relationship, anew. This was truly a blessing. 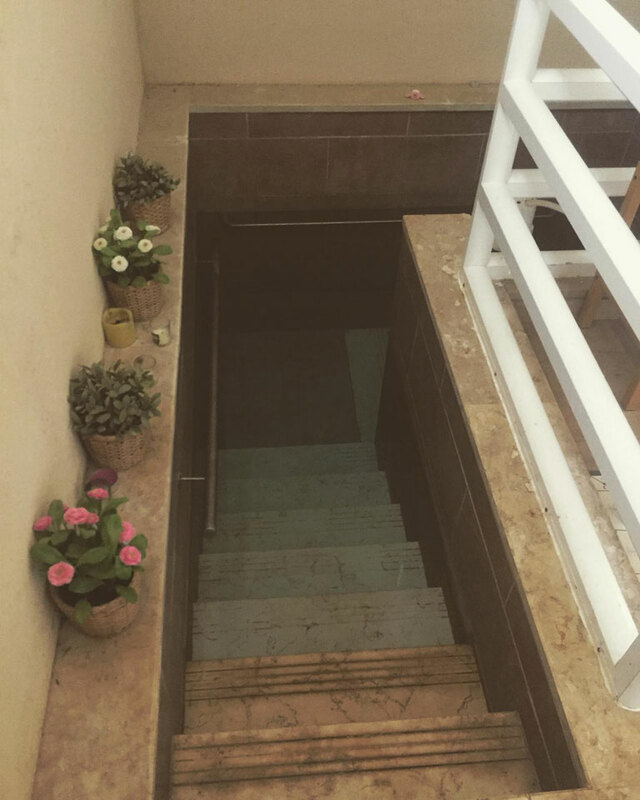 When I immersed in the mikveh after a session with Haviva, I was filled with complete amazement and joy to see that my soul had survived untouched and could not be touched after all I have been through. I’ve been given an incredible gift — to discover that my glowing soul will always be available to me. The mikveh works on such a deep unconscious level. You enter trust in the immersion experience and another realm of existence, beneath normal consciousness. I had no idea it would feel so profound. The best part about working with Haviva has been her ability to meet me where I am, no matter where that is. I've come to sessions with questions about religious law and spiritual practice, about G!d, about my relationship with time and space, and even with wild dreams. No matter how I show up, Haviva is present and ready for the journey with me. Her work with dreams has been a particularly special addition to my spiritual direction. Working with Haviva has transformed my spiritual life. Working with Haviva has been an invaluable growth experience for me. The quality of listening and care she gave allowed me the safe space to travel deep into my psycho-spiritual universe, and to uncover connections and influences that have helped me develop a deeper sense of my spiritual self. During a year of major transitions and life changes, Haviva's spiritual guidance has made what could have just been hard into some of the most growth-full times of my life.